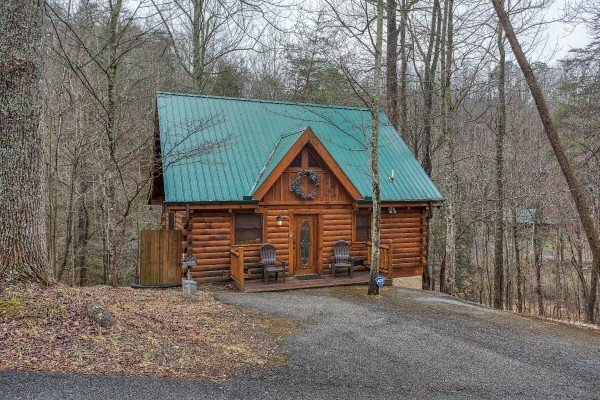 You'll be GETTIN' LUCKY to stay at this unique and wonderful 1 bedroom 1 bath log cabin located right in the heart of the Smokies! You'll have every amenity you could ask for including big screen TV's, DVD players, pool table, and a custom stone/ gas burning fireplace. 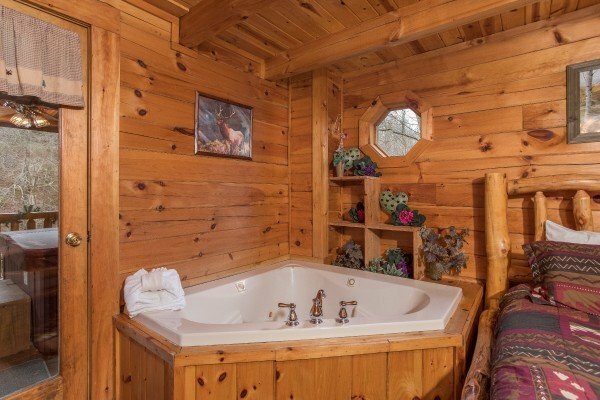 With a in-bedroom Jacuzzi tub, and a custom built log bed, you can't help but feel lucky! A full kitchen and outdoor grill make dining-in a joy. 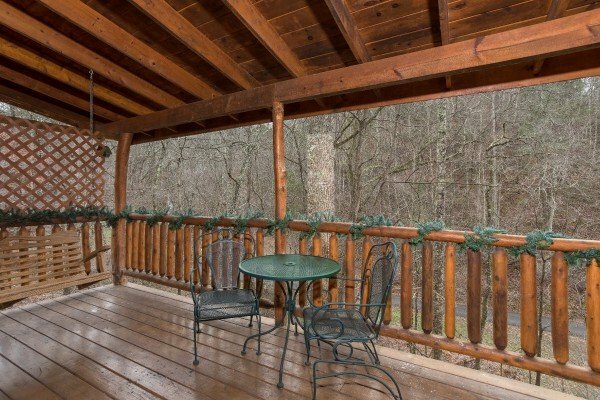 Picnic on the covered porch with table, swing, rockers, and steamy hot tub! 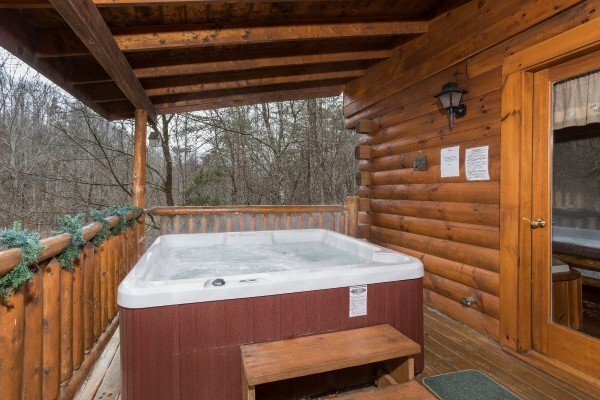 Its the pefect place to relax with the sounds of nature & the bubbling of a small mountain stream. 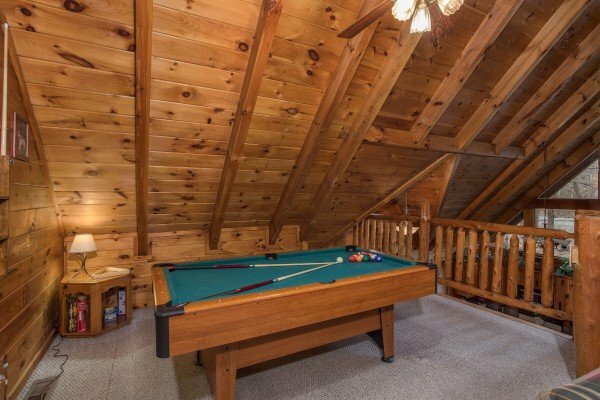 Upstairs the lofted game room with pool table has a second queen sleeper sofa - creating space for up to 6 guests to enjoy GETTIN LUCKY! 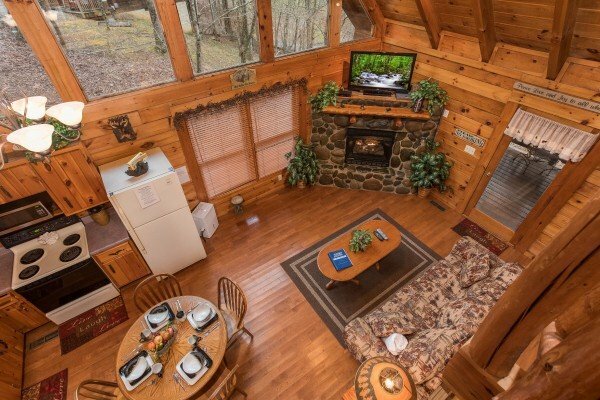 Cable TV, WiFi, and a washer/dryer are all included. 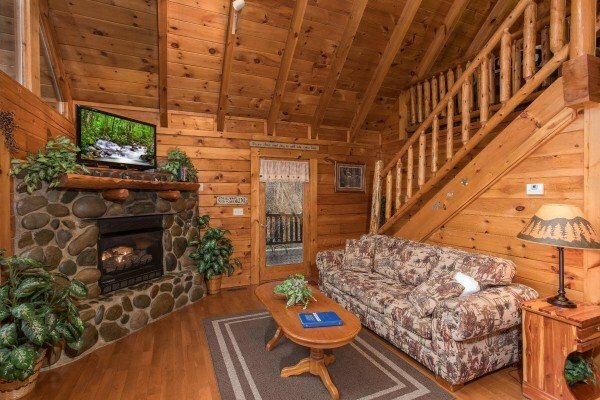 If you've been searching for a peaceful cabin with a convenient location, then it's your lucky day! Plan to make some lasting memories this year and reserve GETTIN' LUCKY for your getaway today! Thank you for a wonderful stay at gettin lucky. 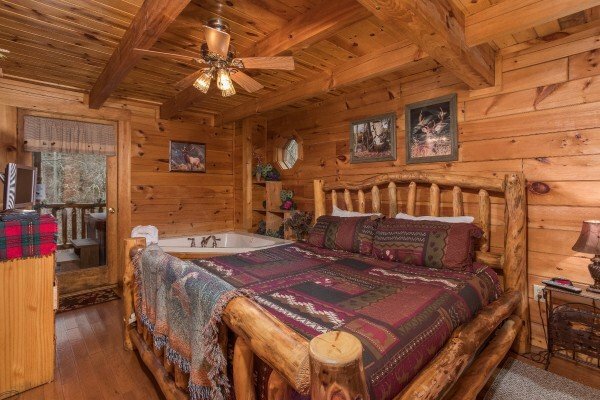 I have stay twice with American Patriots cabins and really love them. I have been very happy with both of them. Getting Lucky was perfect for our honeymoon getaway! We had a wonderful trip and wanted to stay longer! We would definitely stay here again! Thank you!!! 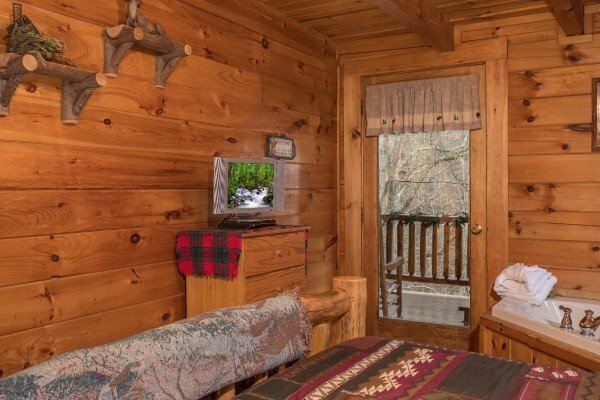 This is the second time we rented this cabin. 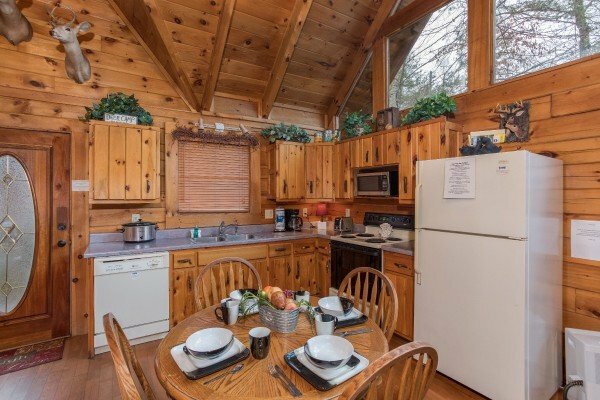 We love the area and semi seclusion of the cabin. Cabin is always very clean & welcoming. We'll definitely be back & rent from Patriotgwtaways again. Great Stay!!! 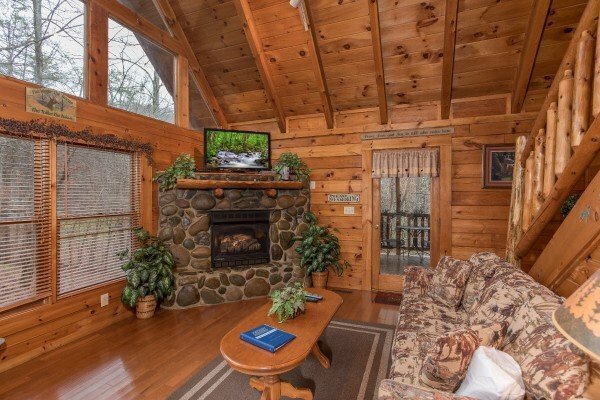 Perfect cabin for a couples getaway weekend!!! 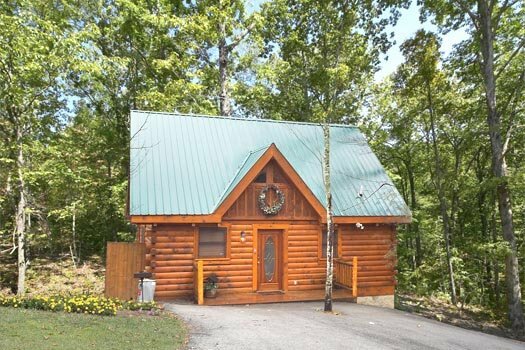 Gettin Lucky was a very beautiful cabin. 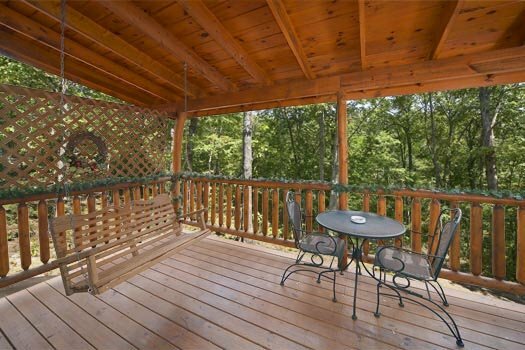 It was very clean and it had a lot better than expected privacy and views. also being close to all of the action of Gatlinburg made the whole vacation awesome. Highly recommended vacation rental for couples. 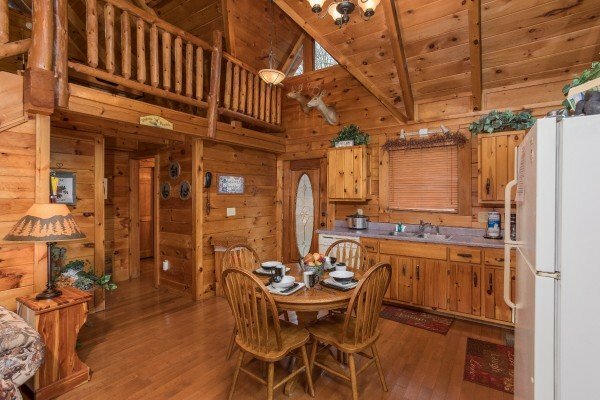 Great cabin, very clean and beautiful!! Will stay at this cabin again! LOVED the big log bed!! No issues at all in the cabin, everything worked great! 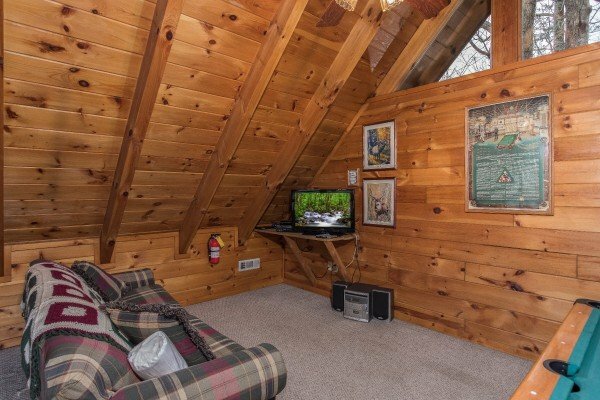 Great value, lovely cabin- couple cob webs, but nothing major anywhere. Would recommend and definitely stay here again! The only problem we had was the electric can opener did not work and neither did the hand held can opener. I did have my old P-38 military can opener with me. It worked fine. We only wish we had longer to stay. This was our 2nd cabin with APG. Last November we stayed in Mountain Manor. 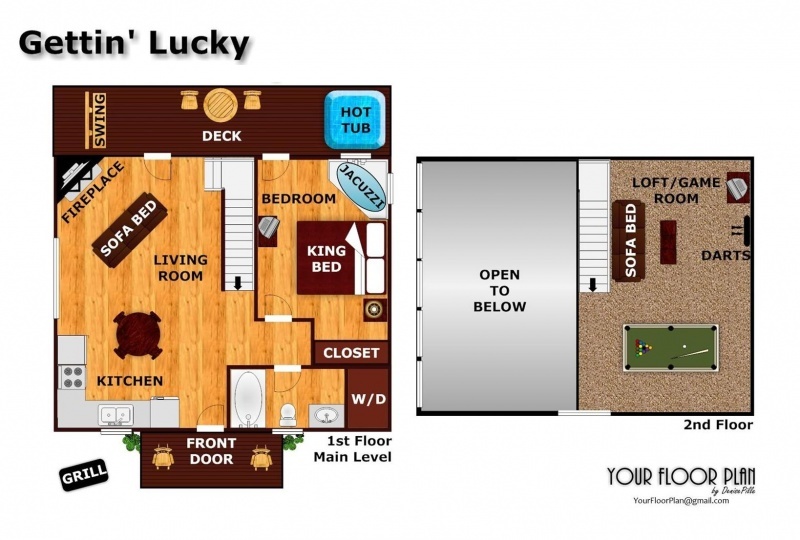 Both cabins were great, but "Getting Lucky" was superb. Everything was great...my reservaiton agent was outstanding!! I forgot to leave a note that the front right burner on the stove was not working. Thanks!! The cabin was wonderful. 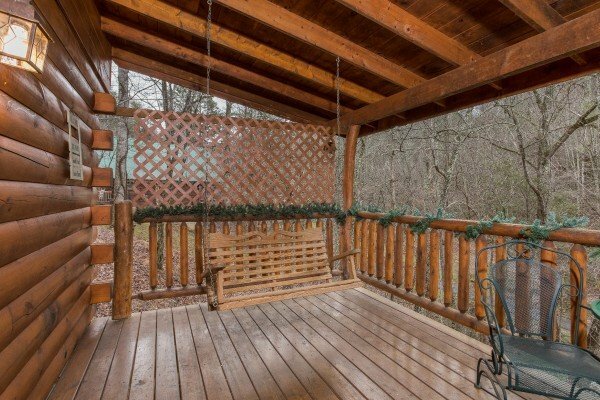 The back deck with the swing, the running stream, made for a very relaxing time. Absolutley enjoyed it. Very clean and had all the supplies needed for kitchen and throughout. 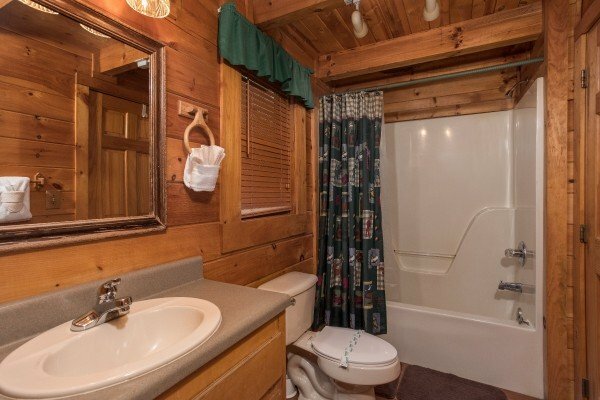 Fun amenities within the cabin. Easy road toget to cabin.